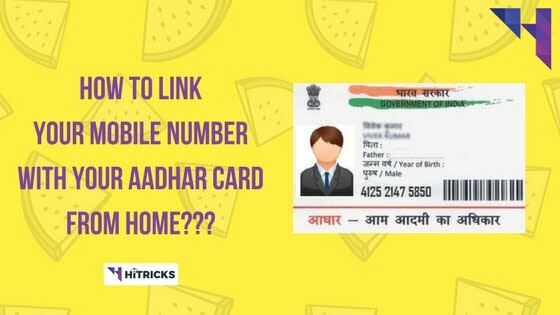 Home » How To » How to Link Aadhar Card with Mobile Number Offline from Home? 2017 was the year of Numbers for sure, with more or less every service provider asking for your Aadhar Number in the name of KYC Mandate. 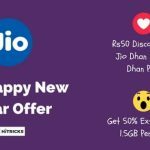 Starting from Linking Aadhar with your LPG and Bank for getting the subsidy, we had to link Aadhar Number with PAN Card for Income Tax Department, for taking new Jio sim cards and every other New Sim Cards, and now our Government has ordered everyone to reverify their old sim cards with Aadhar Card. The irony is: Getting an Aadhar Card isn’t mandatory. There is no rule yet made by our Supreme Court that states that we need to make Aadhar Compulsorily. But, on the other hands, linking Aadhar with our service providers have become mandatory, so, in case you don’t have an Aadhar Card, you can’t enjoy most of the services in India. As per the rules of the Telecom Authority of India, you need to re-verify all of your existing sims and link them with your Aadhar Card before 31st March 2018. There isn’t any information yet to what happens if you don’t link, but this isn’t likely to be tolerated much. So, it is advisable that you do the re-verification as soon as possible. Why link your Sim card to your Aadhar Card? Your sim card remains your own, other’s cannot claim it by doing any fraud. In case you lose your sim card, it will be easy to track it. Sim card stealing will not be fruitful. Unauthorized selling of pre-activated sim cards will be stopped. Any other frauds related to sim card will be completely stopped. Security-wise, this step has a lot of advantages. But privacy-wise, it is a bit of a disadvantage. Anyways, for a normal user, I feel this is indeed a helpful way. How to link your Sim Card to Aadhar Card from Home? 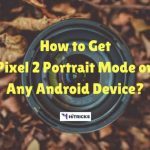 Initially, to link your sim card to Aadhar Card, you needed to visit your Mobile Operator Store with your Aadhar Card and do a Biometric Test to link your Aadhar Card to Sim card. But that process had some disadvantages as well. Firstly, you can’t send your brother to go and link your sim with Aadhar Card. You need to visit the retailer in person carrying your own Aadhar Card. Because they take your Biometric Authentication using Fingerprint, so only you can do it. Secondly, your biometric information is required in this step. You cannot just use your Number and OTP for linking Aadhar. Thirdly, you need to be present at your own city or circle for verifying via retailers. So, if you are outside home, you have hard luck! Finally, at many places, the retailers were taking advantage of the situation and charging money for linking Aadhar. And this became a business strategy. So, to help things up, Govt came up with this new and easy method. NOTE: The Last Date to Process the ReVerification of your Sim Card using Aadhar is 31st March 2018. Before you start this process, make sure you have your Aadhar Number handy. Call 14546 Toll-Free Number. This is the official number for Aadhar Verification via phone call. You shall hear an Interactive Voice Response (IVR). At first, it will ask you whether you are an Indian. Choose 1 to confirm. Then, it will ask whether you have an Aadhar Number or not. Choose 1 to confirm. If you don’t have an Aadhar Card, first apply for an Aadhar Card from your local Aadhar Center Offices. Go to UIDAI Website to find out the list of Centers from where you can get your Aadhar card done. It takes around 30-45 days to get your Aadhar Card. So, there is ample time on hand for you to do the re-verification later on. When asked, you need to enter the 12 digit Aadhar Number using your Dial Pad. After entering that, you will need to confirm it by pressing 1. (Listen to the instructions carefully). Now, your Telecom Operator will request UIDAI to send you an OTP for verification purposes. You will get that OTP on your mobile number on which Aadhar Card was registered, as SMS. Enter that OTP using the phone dialer. The OTP is valid for 30 minutes only. Do note that if you are calling from the same sim card then you need to put your phone in speaker and close the dialer and open the sms you get and read the OTP. Finally, open the phone dialer again and enter the OTP. After entering the OTP, you need to confirm it by pressing 1. (Follow the instructions carefully). You will receive a confirmation SMS from your Telecom Operator soon, that your Aadhar Linking with Mobile Number is successful. In case you have further queries, Here’s a video tutorial from Tricky Time that gives you a visual representation of the overall procedure. Check it out. Here are 3 suggested topics for you from our Blog, each of a different taste. Check them out. That’s all. Do share this post with your friends. See you around soon! Bro i got my primary on mom’s name using her aadhar card. can i use my aadhar to link with that number or i should link my mom’s aadhar with it? If we don’t know which mobile number has been given during Aadhar card application? Then how will we can link our sim with mobile number?